After being chosen as an Ambassador for Food Revolution in my area I just had to come up with a dish to celebrate this great achievement. 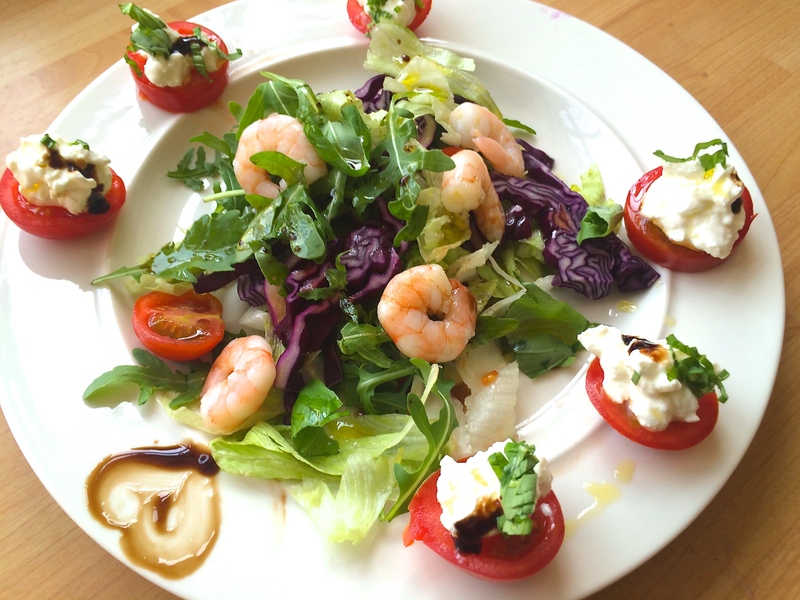 What better than a salad with some of my favourite ingredients all together? 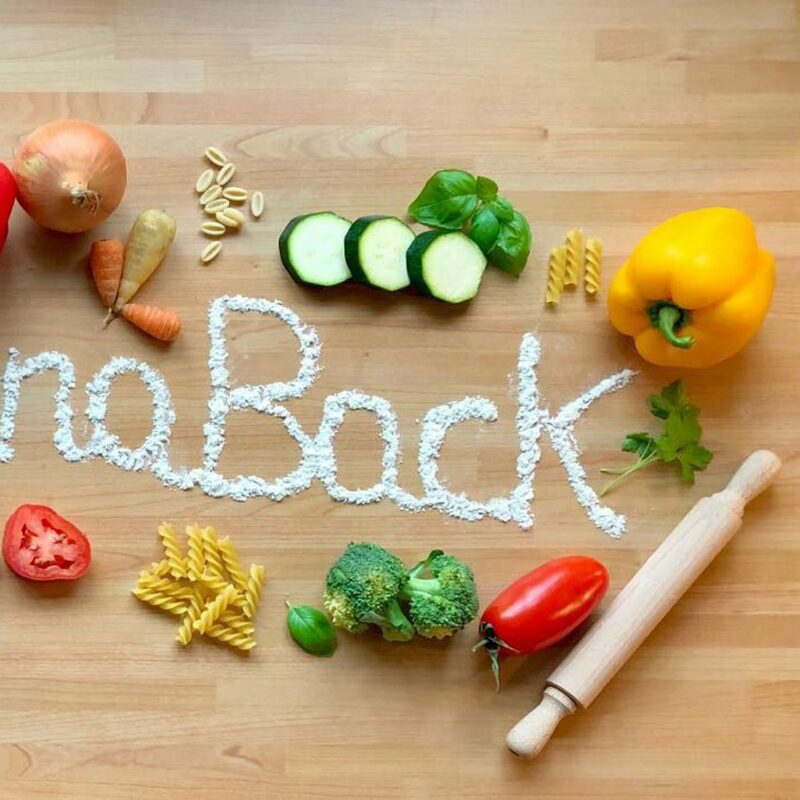 Since Food Revolution is to do with the idea of cooking freshly and healthily, which is basically what I love doing, I am very proud to be part of this huge initiative and I hope I can inspire other Mums with my recipes and cooking skills. Healthy food for healthy and happy children!!!! Have your lettuce and cabbage washed and chopped. On a plate start placing the lettuce, cabbage, rocket and the cherry tomatoes. Add the prawns. Slice the medium tomatoes in three and place them on the side of the plate. 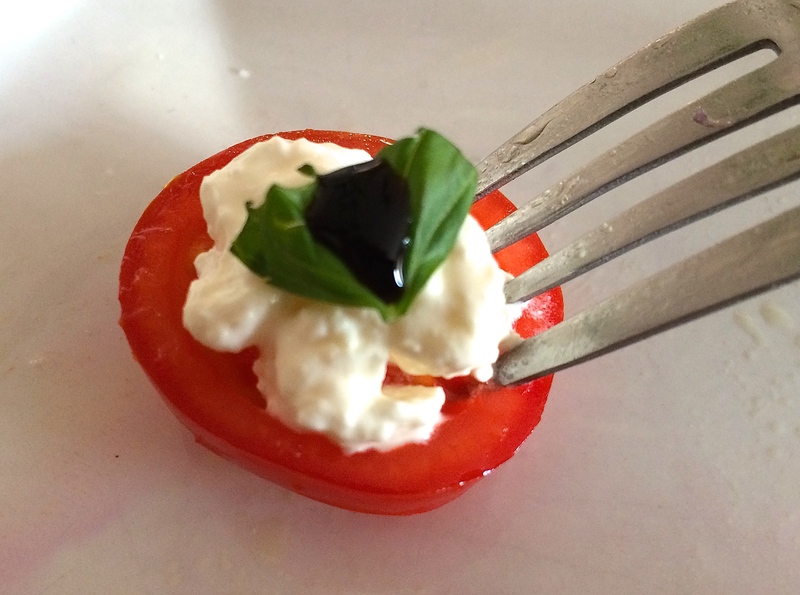 Use a tea spoon to scoop some of the cheese and put it on top of the tomatoes. Sprinkle the basil and add a splash of balsamic vinegar. Sprinkle the rest of the leaves on the salad. Dress with the olive oil and balsamic vinegar….Pronto!!! !